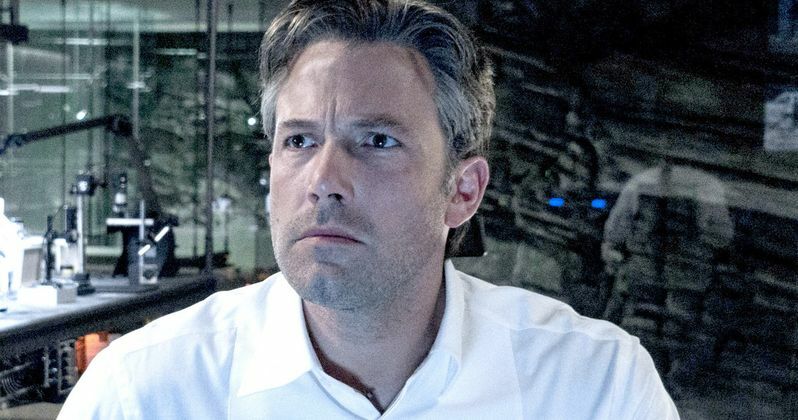 Ben Affleck Humiliated by Poor Batman v Superman Response? Yesterday it was announced that Ben Affleck is taking on the role of executive producer for Justice League, which he is currently shooting in London. The actor will reprise his role as vigilante superhero Batman. But apparently he's not happy about the way things are going. That's one of the main reasons why he was given a new title on the Zack Snyder directed superhero ensemble. Now comes word that the actor was just down right humiliated by the poor response Batman v Superman: Dawn of Justice garnered from critics and fans alike. After it was announced that Ben Affleck was being promoted to executive producer on Justice League, more info came out about exactly what this position means for the actor. Apparently, he will be working very closely with director Zack Snyder and screenwriter Chris Terrio to fine-tune the script on set. The trio will collaborate together to make the best movie they can. Taking the position was said to be a sign from Affleck that he believes in his director. But now, more information has leaked from sources embedded within Warner Bros. Here's what BDM has to say about exactly why Ben Affleck has been given this new position. "Affleck was incredibly unhappy about the reception of BvS. He felt humiliated after spending so much of the press tour saying how much better this film would be than Daredevil. On top of that his agent was furious when Kevin Tsujihara jumped the gun and announced him as the director of The Batman. There were still negotiations happening. This move seems to help placate Affleck while also edging Zack Snyder out of a controlling central position in the DC Movieverse." It's easy to understand why Ben Affleck might feel a tad humiliated. Batman V Superman currently has a Rotten Tomatoes rating of 28%. Daredevil, on the other hand, which has been called one of the worst Marvel movies ever, stands much taller with 44%. Add to this the Sad Affleck meme that has become a viral sensation, and one might see why the actor isn't exactly happy with the current situation. Ben Affleck is the main lead in Justice League, reprising his role as billionaire Bruce Wayne, who sets out to bring a number of Meta-Humans together to form this team of superheroes. Many praised Ben Affleck's Batman as the best thing about Dawn of Justice. While the movie wasn't a bomb, it did not perform as well at the box office as some at the studio had hoped. Ben Affleck is known for giving Warner Bros. some critically acclaimed movies outside the superhero genre, which makes him one of the strongest storytellers currently occupying their lot. He's proven his writing and directing abilities on such hit films as Gone Baby Gone, The Town and Argo. Argo is especially notable as it won a Best Picture Oscar for the studio. That movie was written by Justice League scribe Terrio. As the DCEU moves forward, Warner Bros. hopes that Ben Affleck can help shape the universe and what it will become. At this time, the solo Batman movie that Affleck is co-writing, directing, and starring in does not have a release date, but many speculate that it will fall into the October 5, 2018 slot that Warner Bros. recently reserved. Justice League is currently shooting in London and will be in theaters November 2017.